Member of the French Free fly Team Vincent Cotte joined us this weekend for some free fly fun. Vincent has come and shared his knowledge and passion for skydiving and wing suiting with the Skydive Franz team! He ran some angle coaching sessions with the team and experienced wing suiting from 20,000ft! Vincent mentions how he enjoyed the immensely beautiful landscape that surrounds our Drop Zone location, flying over the spectacular Southern Alps and ocean. 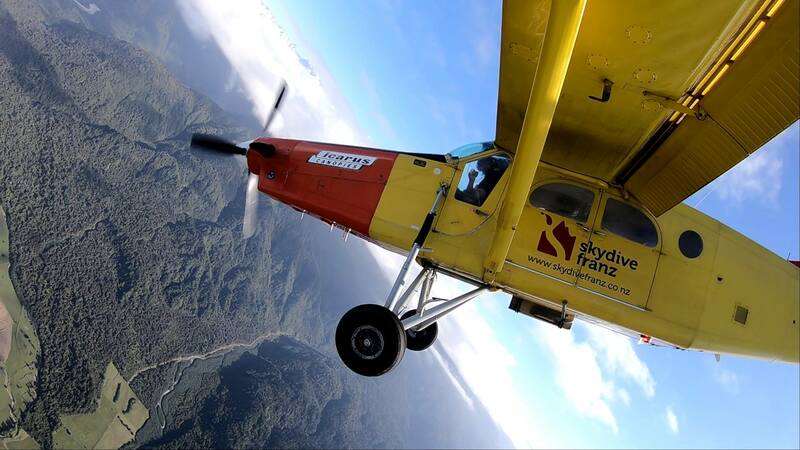 Such a pleasure for him to share some expertise and enjoy the dynamics of our Skydive Franz family! We hope to see him again in the future, for now we wish him and girlfriend –Marion, all the best for their travels in New Zealand. Ready to book your 20,000 ft Skydive – the Highest in NZ? Click here to see pricing and availability.